As many of you will already know, EA Sports have officially announced FIFA 15, with a release date set for September 23rd in North America, and September 26th 2014 for Europe. A first teaser trailer has also been accompanied with the news as well, and you can watch the short video for your viewing pleasure below. Some of the brand new features that’ll be implemented into the upcoming title include far better in-game graphics than ever before, and emotional intelligence. The latter will involve players keeping a fond memory of the referees decisions throughout the match that include missed goal chances and bad challenges/tackles. The pitches in stadiums can now all be completely ruined by players running up and down them during a match and sliding tackles screwing up the turf left right and centre. 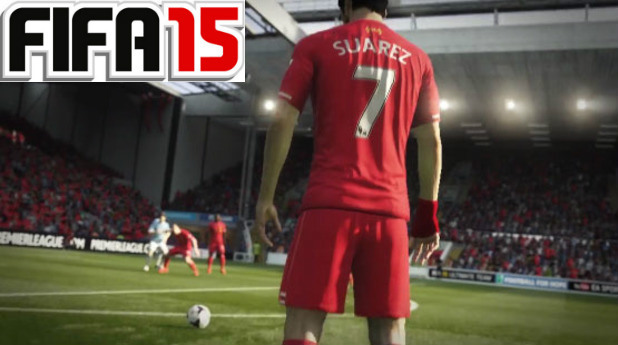 Gamers who decide to pre-order the title’s FIFA 15 Ultimate Team Edition this year will be receiving a nice little bonus of EASFC football items and celebrations. FIFA 15 will be kicking it’s way to the Sony PlayStation 4, PC and Xbox One, but a completely separate version will be heading to the PS3, Xbox 360, PS Vita, Wii and 3DS. Players must note that some of the cool new features that are being introduced this year will not all be featured for the old-gen consoles. Take a look at the two minute trailer that was played at the E3 event where the game was first officially revealed to the world below.